No. 7 Kansas put its recent road woes to bed at last. 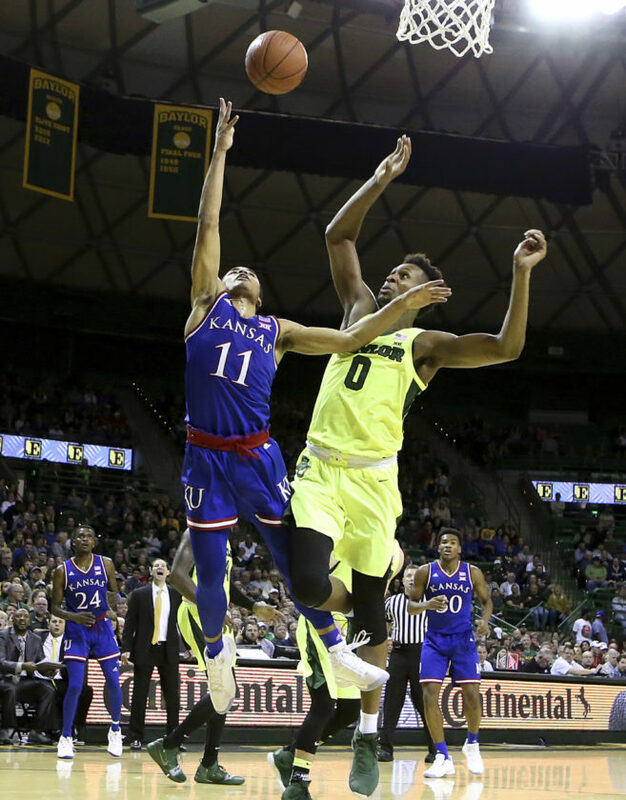 The result was basically never in doubt, as KU cruised to a 73-68 win over Baylor Saturday afternoon in Waco, Texas. 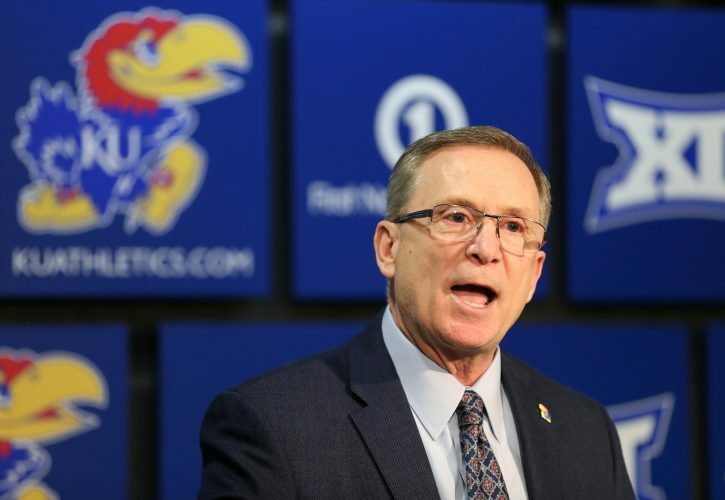 The Jayhawks took a 3-2 advantage at the 18:25 mark and never looked back en route to their second consecutive win since suffering 17-point loss at Iowa State a week ago. Four players scored in double figures for Kansas (14-2, 3-1 Big 12) in the win. Senior Lagerald Vick led the way with 18 points on 6-of-10 shooting. Dedric Lawson scored 17 points on a 7-for-12 effort, while freshman Devon Dotson added 14 points by going 3-for-4 from the floor. Freshman Ochai Agbaji chipped in 10 points on a 4-of-5 clip. Baylor (9-6, 1-2) led for just 19 seconds of the game following its upset win over Iowa State. 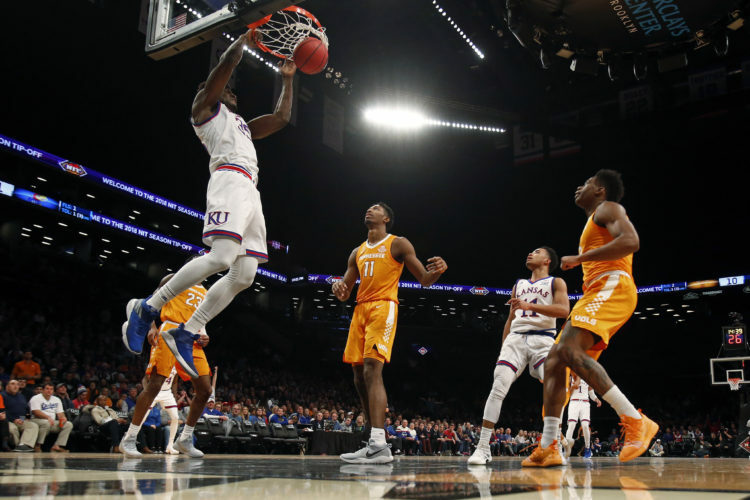 • The game turned when: The Jayhawks created some cushion during the final two minutes of the first half, which was a critical stretch. With 2:09 left in the first half, Baylor pulled within two points to mark its small margin of deficit since the 16:56 mark. Kansas responded by producing an 11-3 run over the final 104 seconds to take a 10-point advantage at the intermission. Vick and Agbaji hit consecutive 3-pointers, and then Dotson netted a layup. Following a score by the Bears, Vick drained a 3-pointer with two seconds remaining in the first half. KU was in control for much of the second half to hold off the hosts. 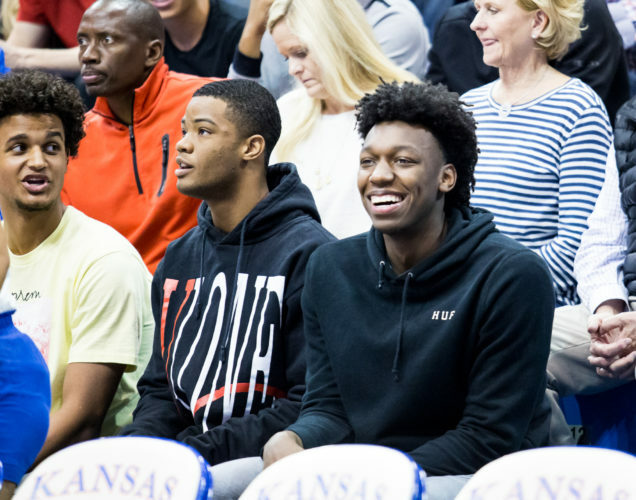 • Offensive highlight: Agbaji just makes this KU team look so much different. And it is just his second collegiate game. Midway through the first half, KU coach Bill Self turned to a familiar set to take advantage of Baylor’s zone defense. The play was designed to get a dunk by a wing on a back-cut along the baseline, and Agbaji was given the honor of doing so. Dotson lobbed it up to Agbaji, who flushed the ball with ease. Much like he did in his KU debut just a few days ago. 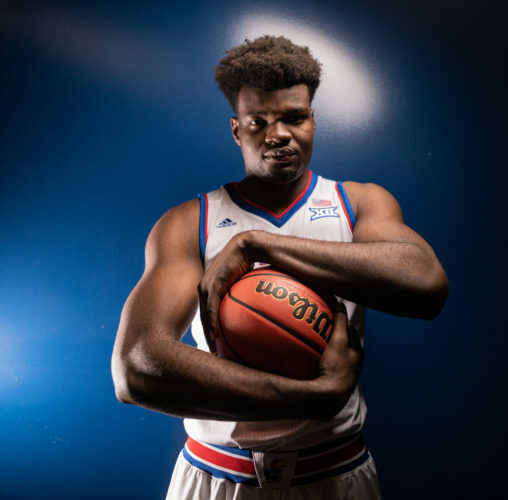 • Defensive highlight: Despite not having starting center Udoka Azubuike, Kansas demonstrated the ability to be imposing in the lane against Baylor. 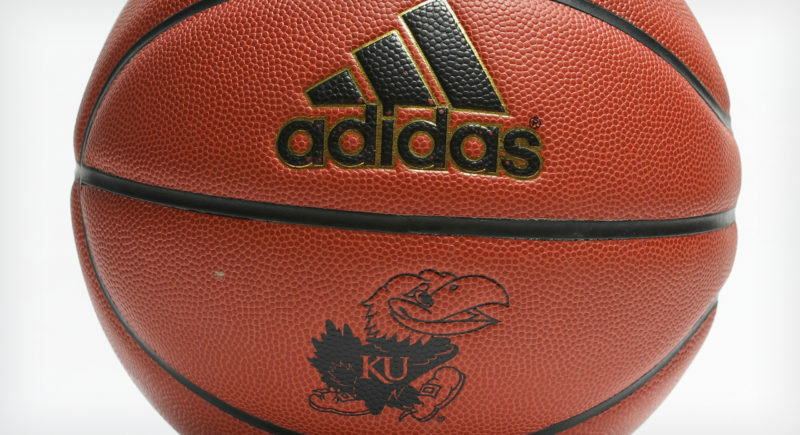 The Jayhawks swatted six shots in the first 10 minutes. Entering Saturday, KU’s season high was seven blocks and it was its first game of the season against Michigan State. It made things difficult for the Bears. Baylor’s first field goal came off an offensive rebound at the 9:33 mark of the 1st half. It trimmed the deficit to 18-4 at the time, as the Bears missed their first 15 shots of the game. •Up next: Kansas plays host to Texas at 8 p.m. Monday.